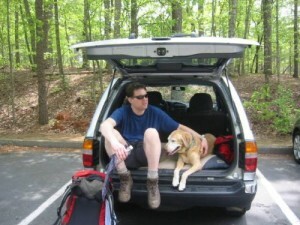 Most of the dog owners who love adventures, take their dog along with them when they go for hiking. From time immemorial, humans have been taking dogs as their companions while they go for trailing and hiking to the different landscapes of the planet Earth. Ice Age is one popular movie of the recent times, which depicts this relationship between dogs and humans. The movie shows that humans used to carry along with them enough food for the dog to keep him healthy and occupied during the long journey. One of the most important items that you must carry along with your hiking backlog is the basic requirements that a dog needs to sustain. You have to pack lots of water and food, which is required not only for the days of journey as per schedule, but also extra food and water, to be used just in case you are lost within the woods, or if you cannot trace your way to the civilization for many days. It is advised that you do not take the pet food which is available in packets at the stores, instead go the canned food which is similar to convertible beef when it is poured out from the ca By doing this you will not only save a lot of energy and time, but you can also cut down on the number of bags you are carrying. Instead of getting 7-8 bags of Kibbles and Bits, you can opt to get a few boxes of Alpo which is relatively cheaper. The leash you use on your dog should be strong enough so that you can get a hold on it tightly. 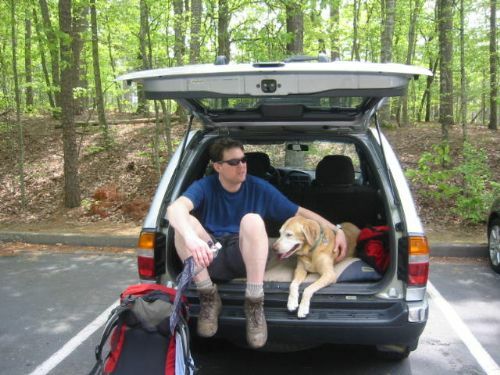 You might have heard people saying that, they took their dogs for hiking without a leash. Do not buy those stories, as if your finds a squirrel or rabbit it will start running behind it, and make your journey miserable. So ensure that you get a strong and branded leash from established pet stores like the Pet Smart. When you go to the stores, remember to buy a chew toy for your dog, just in case he gets bored while hiking. If you wish you can always pick some treats too. Last but not the least, is don’t forget to carry the first aid kit meant for dogs along with you. Though your dog might be powerful, just like any other human being, they also tend to get hurt while enjoying the adventure. Some of the hazardous things that can happen to him are overheating, broken limbs, bug and snake bites. The first aid kit that you carry for your dog should have all the necessary and emergency medicines to treat a minute scratch to a limb injury. It is very adventurous for both of you when you go on hiking into the woods. All you have to do to make your journey memorable is take all that is required to keep your dog healthy and safe. This way both of you will not forget it.